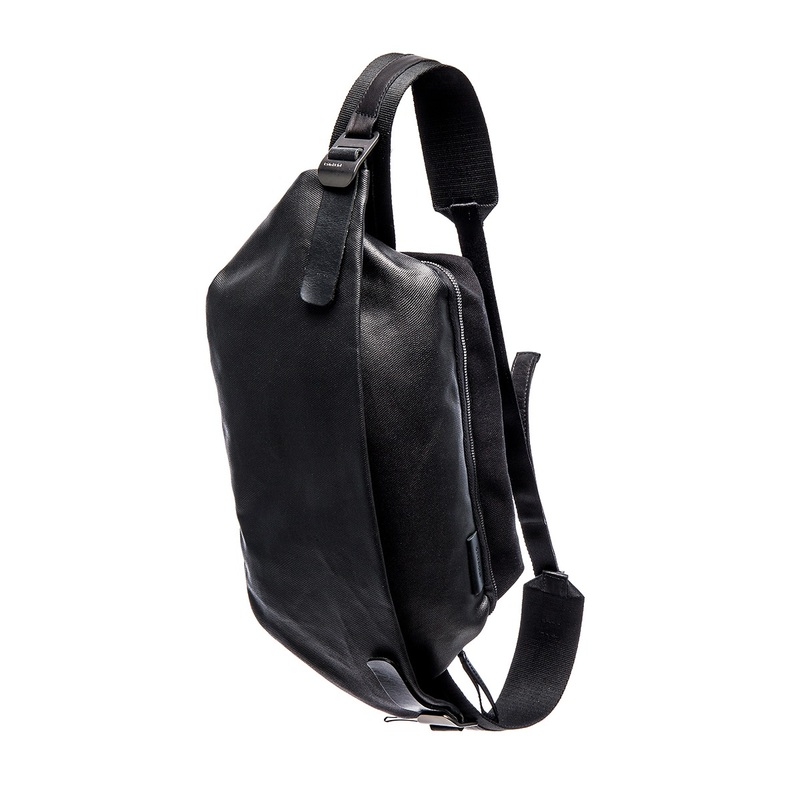 The côte&ciel Isarau is a new style inspired by traditional Japanese armor, designed to be worn as a messenger bag. 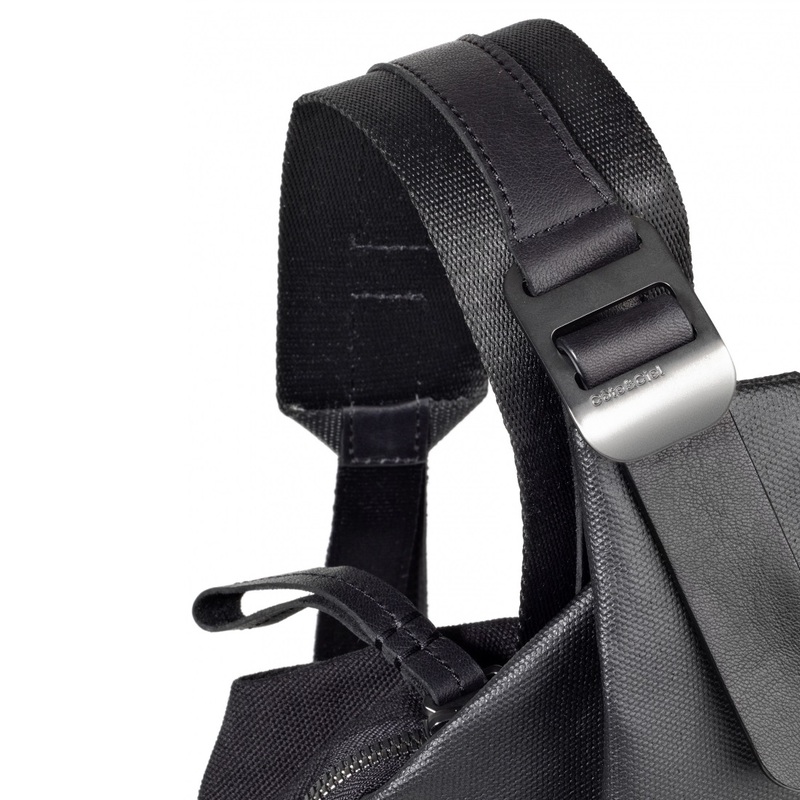 The Isarau combines ancient design principles with a modern technical execution in homage to the traditional muneate, a protective breastplate worn by Japanese archers in the ancient sport of kyudo. 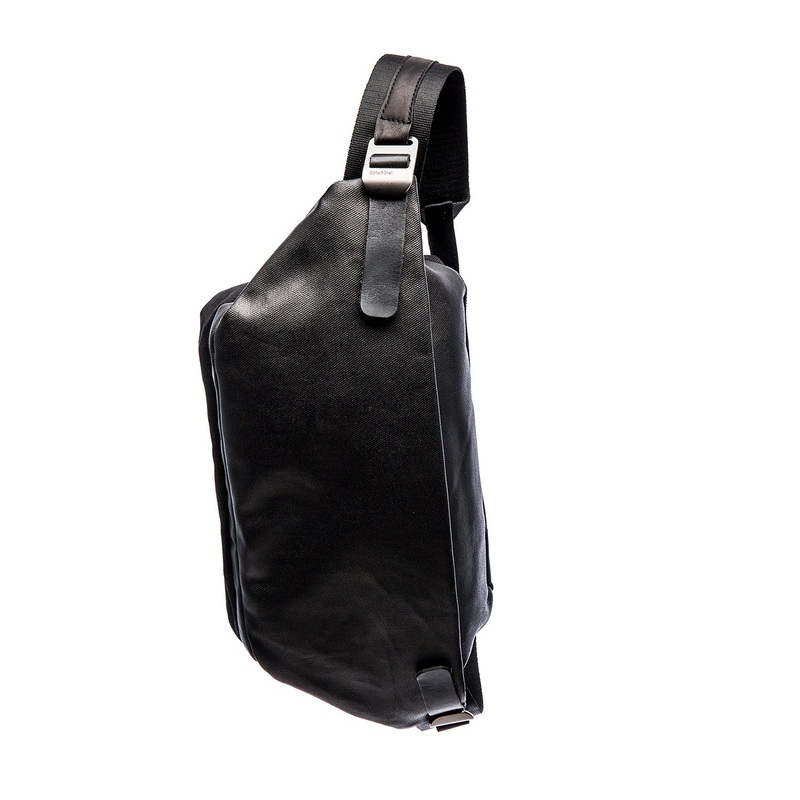 The Isarau is an ergonomically sophisticated piece that can be worn close to the torso either across the chest or back, or more conventionally, at the waist. 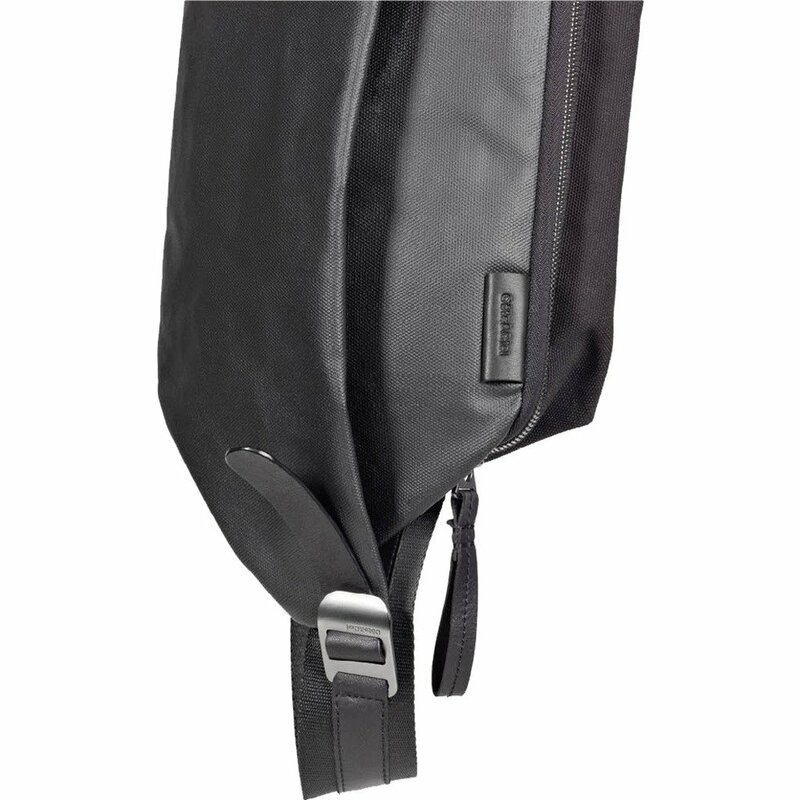 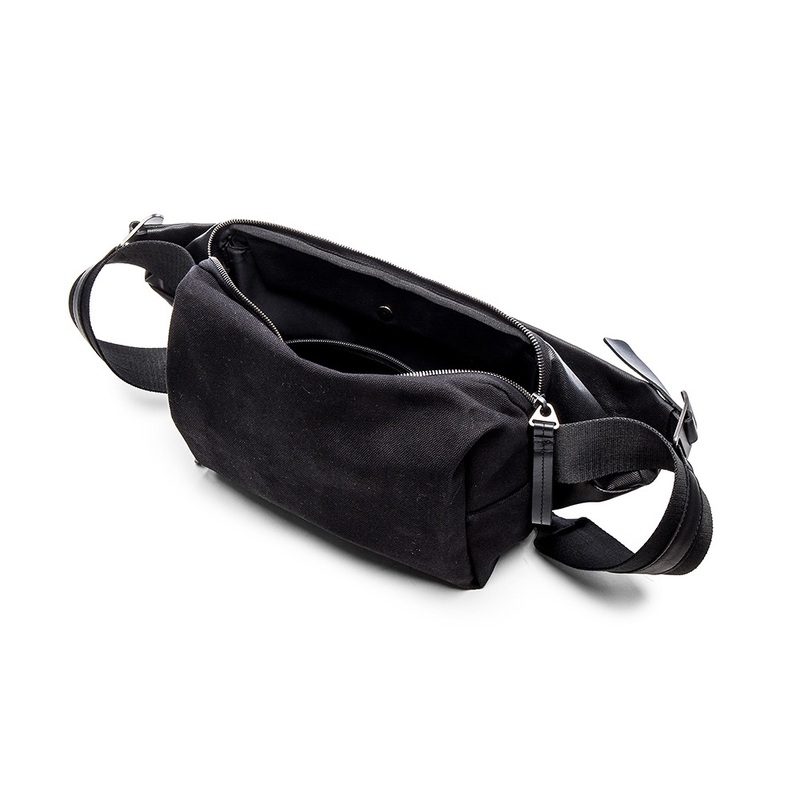 This versatile messenger bag is created out of a water repellent coated canvas in black with gunmetal trims, and boasts two internal and two external pockets - the largest of which can safely accommodate an iPad Air. 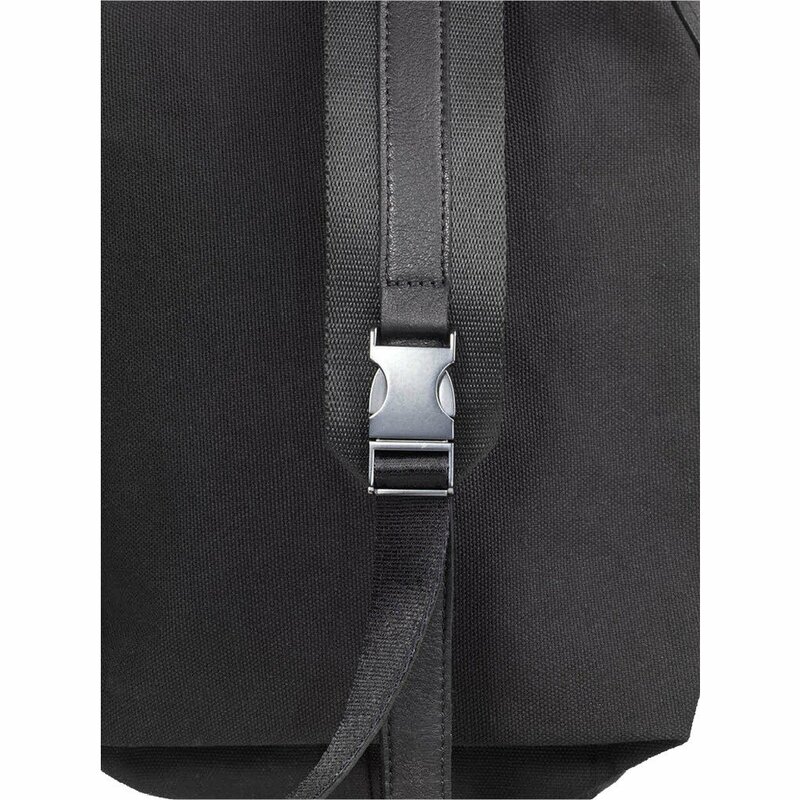 Coated canvas is an all black water resistant fabric for the ultimate utility and style. 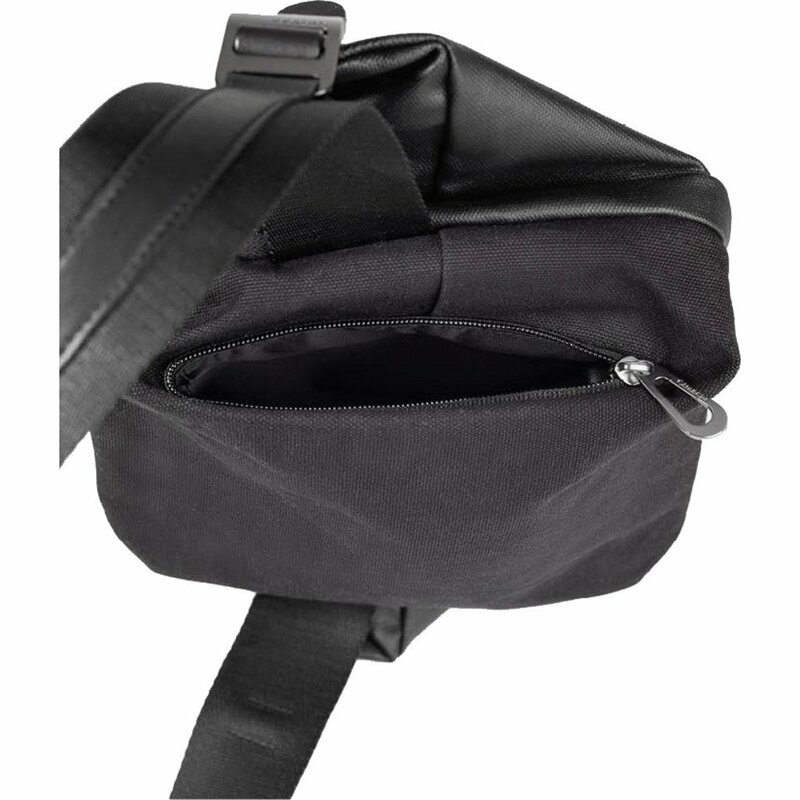 Its characteristic dark night shade black coloration has long been the color of aesthetic non-compliance. 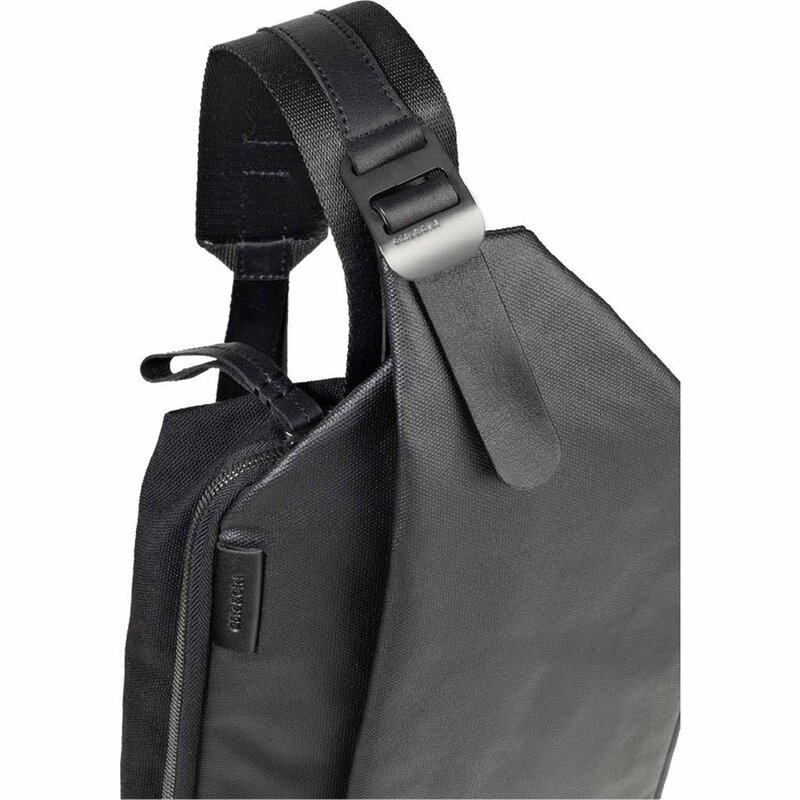 The côte&ciel Isarau also has adjustable leather straps that augment the bag’s durability and allow the wearer to experiment in how to wear this modern take on the messenger. 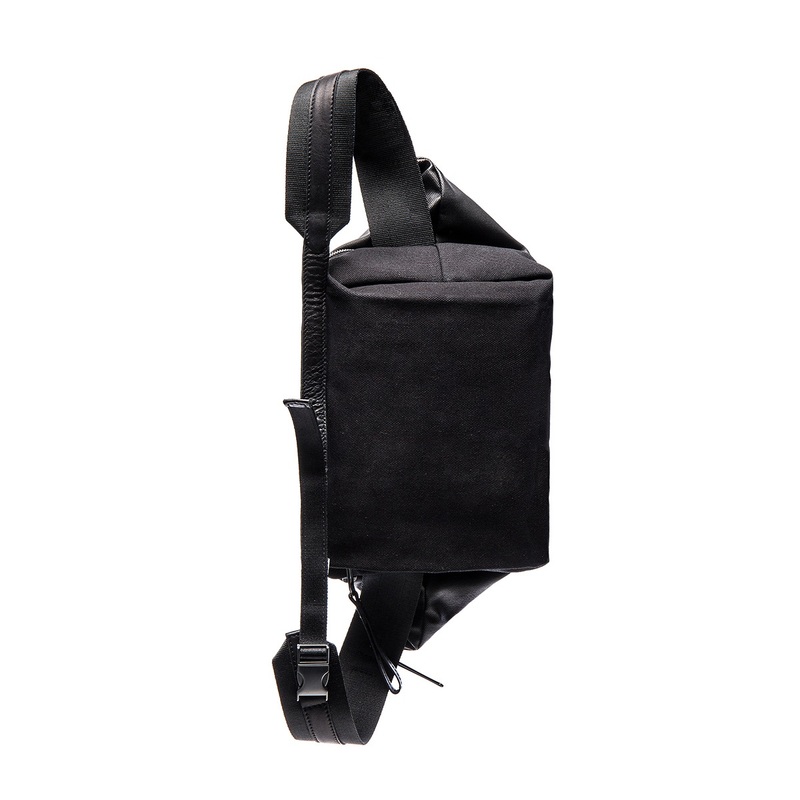 Materials: Leather, Coated Canvas (an all-black water resistant fabric). 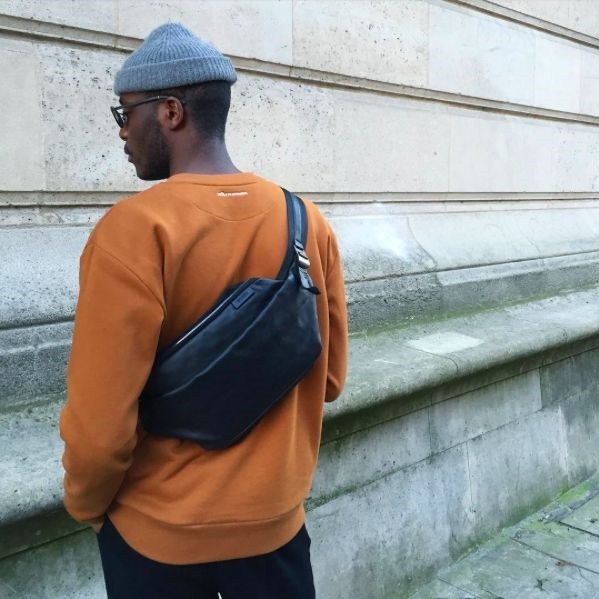 Designed by Côte&Ciel in Paris. 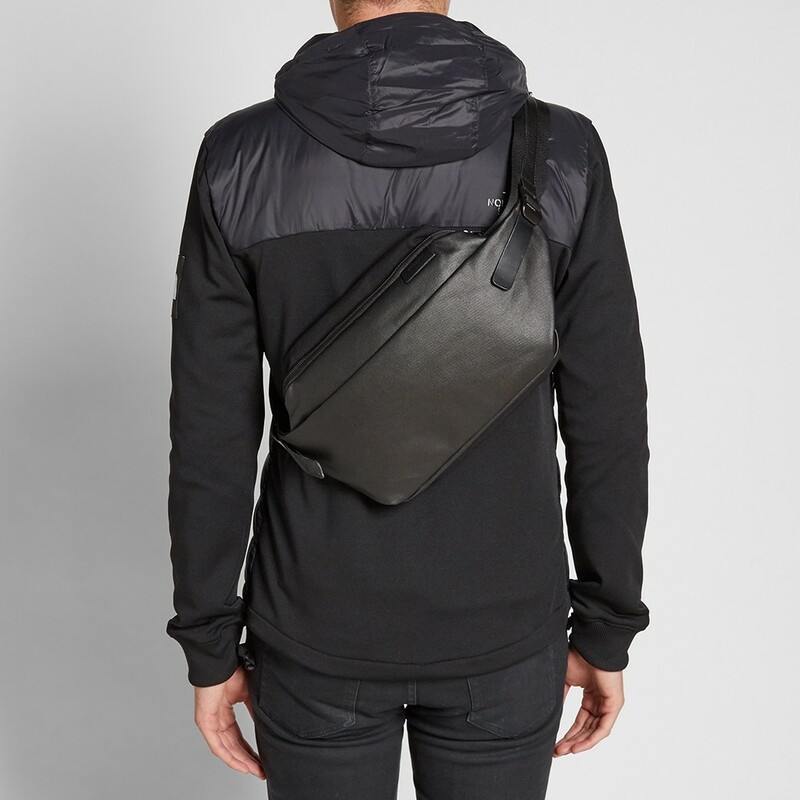 2 external / 2 internal pockets (the largest of which can safely accommodate an iPad Air). 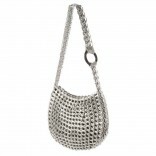 Dimensions: Height: 44 cm (17.25"), Width: 20 cm (8") , Depth: 11 cm (4.25"). 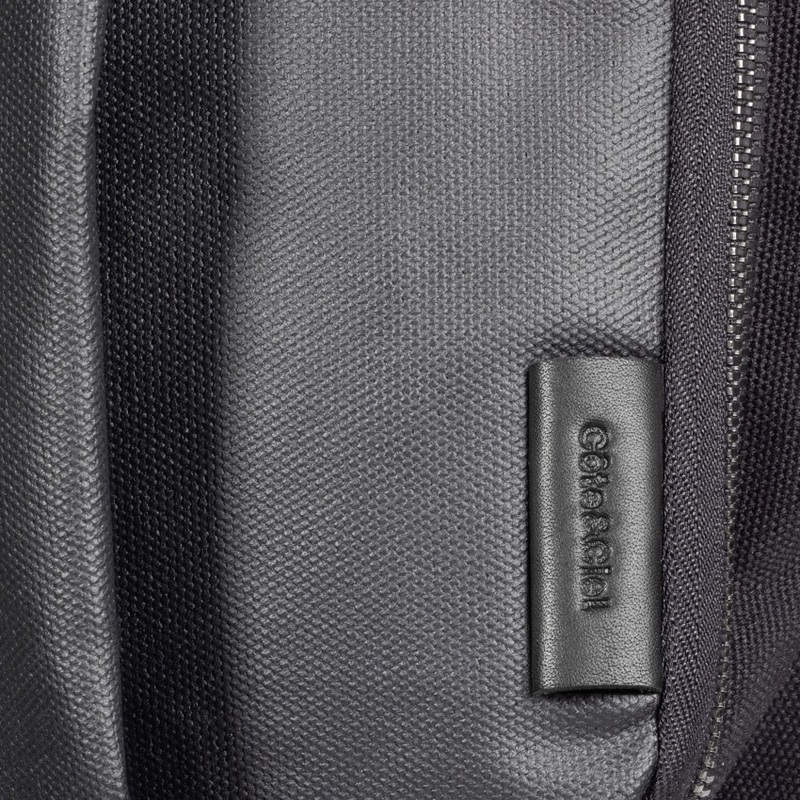 Interior / Computer compartment: Height: 26 cm (10.25"), Width: 15 cm (5.75").